Global Finance names Citibank Egypt as "Best Internet Bank in 2011"
It's the 2nd year in a row for the bank to receive this award and the 5th year to be honored with this distinction. In recognition of the bank's leading role in offering innovative internet banking services and solutions, Global Finance magazine named Citibank the Best Corporate/Institutional Internet Bank in addition to the Best Consumer Internet Bank in Egypt in 2011. This marks the 2nd year in a row for the bank to receive this award and the 5th year to be honored with this distinction as Citibank won the same title back in 2005, 2006, 2007, and 2010 in addition to this year. This news came as part of Global Finance's announcement for the first round of winners in its annual "World's Best Internet Banks" competition for 2011. According to Global Finance, "Winning banks were selected based on the following criteria: strength of strategy for attracting and servicing online customers, success in getting clients to use web offerings, growth of online customers, breadth of product offerings, evidence of tangible benefits gained from internet initiatives and web site design and functionality." Citibank was selected by Global Finance as the winner of the corporate and consumer categories in Egypt based on its high scores in meeting the set criteria. In light of this award, Mr. Ashish Bhugra, Consumer Business Head at Citibank Egypt, stated: "We are honored to have been selected as the best Internet bank in Egypt for the 2sd consecutive year by such a world-class magazine. 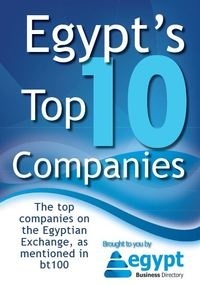 We consider this award a solid affirmation of our continuous efforts to spread the online banking culture as well as to bring unique services to the Egyptian market, and to provide banking solutions that cater to the different needs of our client base not only in Egypt but across the different countries we operate in." Ms. Iman Gaber, E-business Head Citibank Egypt, also added: "the award came as recognition to our continuous efforts to build a strong online platform in Egypt. We are proud to have created the concept of "your bank at your fingerprints" to allow our clients to manage their finances, their way in a convenient and time efficient manner with all the safety measures needed so that they can enjoy total peace of mind anytime anywhere in the world". It is worth mentioning that Citi's branches in Egypt, Kuwait, Lebanon, Jordan, Tunisia, Algeria, Morocco and Pakistan won Best Corporate/Institutional Internet Bank Awards in their respective markets, while Citibank Egypt and Citibank Bahrain won best Consumer Internet Bank Awards. The competition's winners were picked from entries evaluated by a top-tier panel of judges. Editors from the magazine conducted the selection of the first round's final winners. Citibank was among the pioneers to introduce the online banking services in Egypt "Citibank Online" back in 2003. Through Citibank Online, customers can receive a wide range of online services and solutions which include managing their Banking accounts, Loans and Credit Cards. Make Inter-Citibank transfers and outgoing transfers, Credit Card dues payment, and utility bill payments, in addition to opening new accounts and receiving credit cards/ banking Electronic statements. The website was designed specifically with a user-friendly layout that does not require instructions or user assistance, especially regarding the registration process for new users yet it is equipped with the highest security measures that allow safe utilization and customers confidentiality of information.